Adrian returns with the second part of his homage to his late idol Edmund Hall. A sensational show last year and sure to be as good this time. The title “Profoundly Blue” comes from the 1941 hit album which featured Edmond Hall along with Meade Lux Lewis and Charlie Christian. Adrian leads the quartet with this as a starting point and continues through a program of lesser known tunes from the albums “ Rumpus on Rampart” and “Petit Fleur”. Adrian Cox started playing music aged 6 and turned professional at the age of 15. 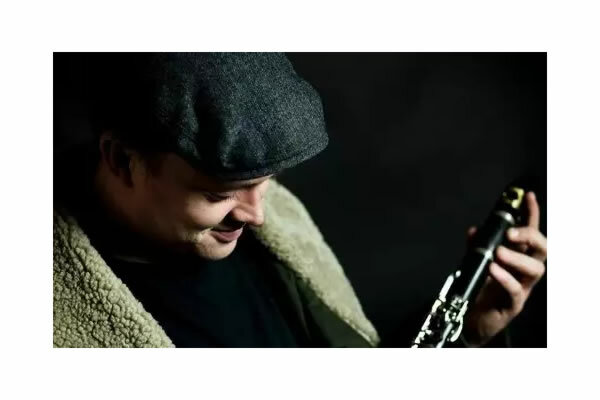 He has toured Europe extensively over the past 19 years and is “London’s most charismatic reedsman” (Time Out London). Adrian’s love for the clarinet is eminent in his soulful and inspiring playing, and he will lift any bandstand. Bollington Jazz Club tickets are £10 from 01625 574410. Theatre-style seating, bar with Bollington Best real ale on draft and wine sold by the bottle or glass. Doors at 7pm, shows start at 8pm. All profits from these events go to Bollington Arts Centre.